ABC News. Fri, 19 Apr 2019 11:17:13 -0400. Fox News. Fri, 19 Apr 2019 13:24:13 GMT. By Peter Cohan, Contributor. Forbes. Fri, 19 Apr 2019 13:14:00 +0000. Reuters. Thu, 18 Apr 2019 16:56:26 -0400. Daily Mail. Thu, 18 Apr 2019 16:41:58 GMT. Sasha Ingber. NPR. Thu, 18 Apr 2019 10:14:56 -0400. Tass. Thu, 18 Apr 2019 14:02:16 +0300. LISBON (REUTERS) -At least 28 people, most of them German tourists, died and 22 more were injured in a bus accident on the Portuguese island of Madeira on Wednesday (April 17), authorities said. Straits Times. Thu, 18 Apr 2019 02:46:38 +0800. Sky News. Wed, 17 Apr 2019 19:42:00 +0100. Smithsonian. Wed, 17 Apr 2019 13:00:00 +0000. Sydney Morning Herald. Wed, 17 Apr 2019 23:00:00 +1000. ZDNet. Wed, 17 Apr 2019 09:43:00 +0000. Alan Jones. The Independent. Wed, 17 Apr 2019 04:57:03 GMT. Zacks Equity Research. Zacks. Tue, 16 Apr 2019 14:17:00 GMT. Just Style. Tue, 16 Apr 2019 11:14:00 GMT. 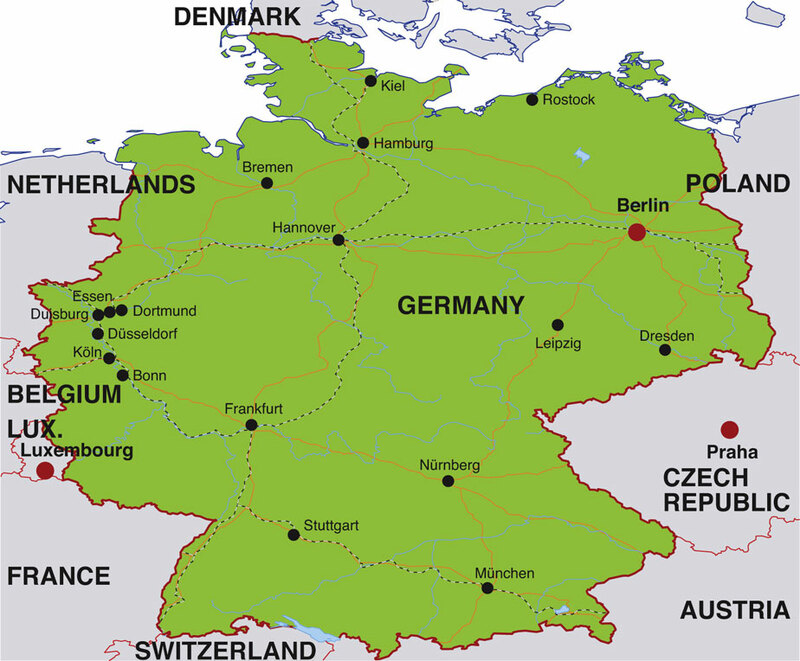 The Federal Republic of Germany, located in north central Europe, is a federal multi-party republic with a bicameral legislature. Its capital city is Berlin, and its currency is the Euro. The primary language spoken in Germany is German, although the Slavic Sorbian language is used by a small minority. In 2007, Germany's estimated population was 82,401,000. For more news and information about Germany, visit this official German government website. 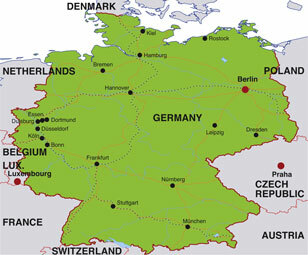 For detailed maps of Germany, visit this Germany map website.